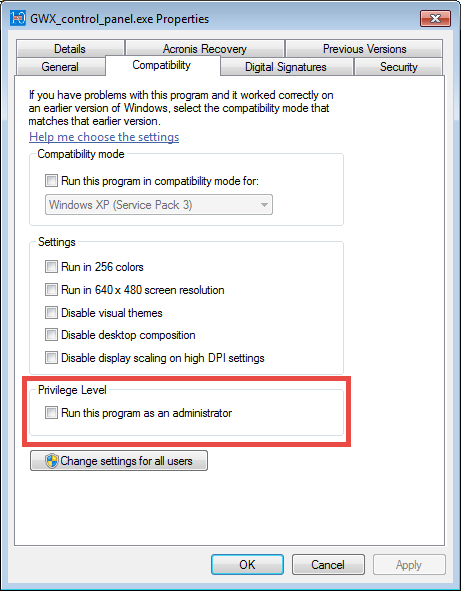 This post answers a number of questions I've received about GWX Control Panel, the program that helps protect Windows 7 and Windows 8 users from unwanted Windows 10-related notifications and upgrades. The GWX Control Panel announcement post. This is essentially the GWX Control Panel user guide. You'll find the most detailed documentation there, as well as download links and release details. 1. WILL GWX CONTROL PANEL BLOCK WINDOWS UPDATE FROM INSTALLING SPECIFIC PATCHES LIKE KB2952664, KB2976978, KB3035583, KB3123862, ETC? Dismiss and prevent the "Get Windows 10" icon. Restore normal Windows Update control panel behavior if it's been hijacked by Windows 10. Find and delete the hidden Windows 10 download folders to free up disk space. I was able to accomplish all of those things without blocking or uninstalling any Windows Update patches. On my own personal computers, I always install all Windows Update patches- and with GWX Control Panel installed and enabled, I never experience any of the above symptoms. As far as I was concerned, investing development time into blocking individual Windows Update patches didn't make sense to me, because I was able to stop all of Microsoft's undesirable behaviors without hiding or uninstalling a single Windows Update patch. First, let me clarify a couple of things: I do explicitly block the "Upgrade to Windows 10" patch that can appear in Windows Update depending on your computer's settings. That is actually a special update that is controlled and delivered in a different manner from your typical "KB" updates. Also, while I don't prevent the notorious KB3035583 patch from installing on your computer, my Monitor Mode will notify you if the patch gets installed and my Delete Windows 10 Programs feature will neutralize the update better than actually uninstalling the update would. So let me be very clear: As of version 1.7.2.0, with the exception of the actual "Upgrade to Windows 10" patch, GWX Control Panel does not prevent specific Windows Update patches from installing, because they don't appear to cause any Windows 10 annoyances that GWX Control Panel can't fix. You control which updates to install via the Windows Update control panel, and I honor your preferences. 2. DO I NEED GWX CONTROL PANEL NOW THAT MICROSOFT ENDED THE "GET WINDOWS 10" UPGRADE CAMPAIGN ON JULY 29th? Honestly, it's just too early to say. Right now tens (hundreds?) of millions of Windows 7/8.1 computers still have Microsoft's "Get Windows 10" app installed, even if it's not currently bugging them to upgrade. I've seen a couple people mention that Microsoft might re-ignite the campaign at some point, in which case you'll probably want to make sure you have some way to protect yourself from unwanted upgrades. It's also possible that Microsoft might alter their methods so that the settings and procedures GWX Control Panel uses to protect users from Windows 10 are no longer effective. So anyway, we just don't know- but we're probably safe for at least a few months. 3. CAN I REALLY PERMANENTLY DISABLE ANY WINDOWS 10 FEATURES WITH GWX CONTROL PANEL? At the time I'm writing this, the "Disable" features of GWX Control Panel really do what they're intended to do; they prevent unwanted OS upgrades and notifications. This works after system restarts and most Windows Updates with no further intervention on your part. GWX Control Panel doesn't break or uninstall any Windows features; it just gives you control over when things happen. But Windows is a moving target. 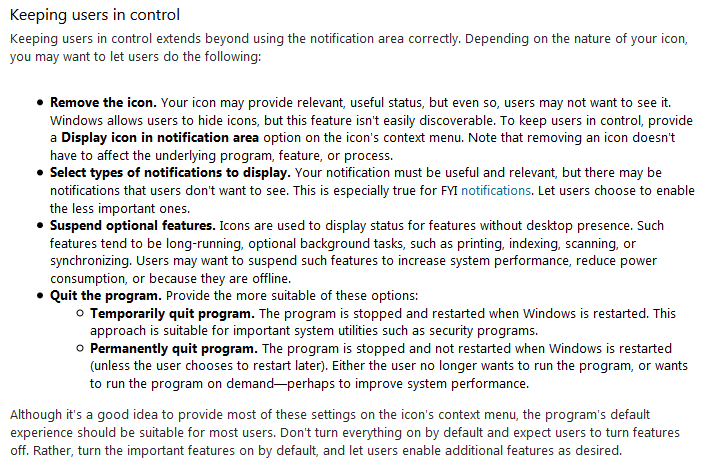 If Microsoft pushes another update that changes the Get Windows 10 or Windows Update behavior, or locks its upgrade settings down even further than they are already, the icon and the notifications and other annoyances might come back. If that ever happens, I will do my best to combat it and publish updates at my downloads page. But this is important to keep in mind: As long as you have Windows Update enabled, Microsoft has the ability to install new software and change your settings. GWX Control Panel honors your Windows Update settings: If you have Windows Update set to "automatically install updates," GWX Control Panel can't prevent new Windows 10-related change from being installed on your computer. What it can and does do is to notify you whenever new Windows 10 files or settings are found on your PC and gives you the ability to easily fix things. 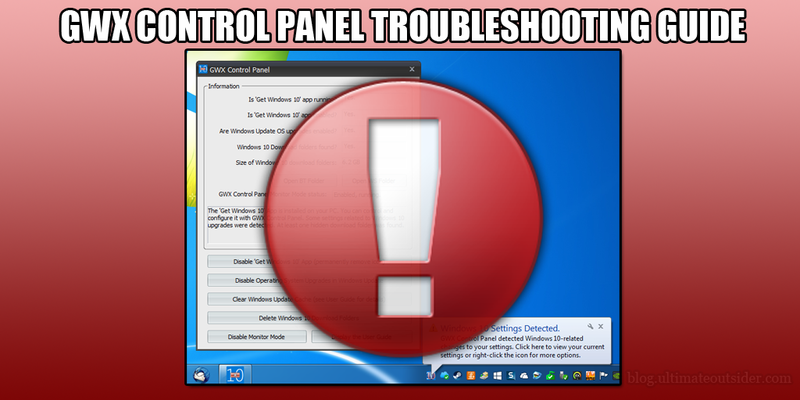 We have seen at least one case where a Windows Update patch can re-enable some settings that GWX Control Panel disables. (Specifically, it appears to be a recent overhaul to the Windows 7 and Windows 8 versions of Windows Update, which also resets all Windows Update settings, including those related to Windows 10 upgrades.) I've also seen and heard of several cases where a Windows 10-related setting will just seem to spontaneously change status while you're working on your computer. This is likely due to Windows 10-related processes launched by the Windows Task Scheduler. They get onto your computer via Windows Update, but don't necessarily run until some time after you apply your updates. 4. I HAVE USED GWX CONTROL PANEL IN THE PAST BUT NOW I'M READY TO UPGRADE TO WINDOWS 10. WHAT DO I HAVE TO DO? You have a few different options depending on how you've used GWX Control Panel and how you'd like to perform your upgrade. Both of these features are easily reversible. Just click Enable 'Get Windows 10' app to bring the icon back and click Allow Windows 10 Upgrades to enable Windows 10 services in Windows Update. (You might also want to click Enable Non-critical Windows 10 Settings if that is available.) 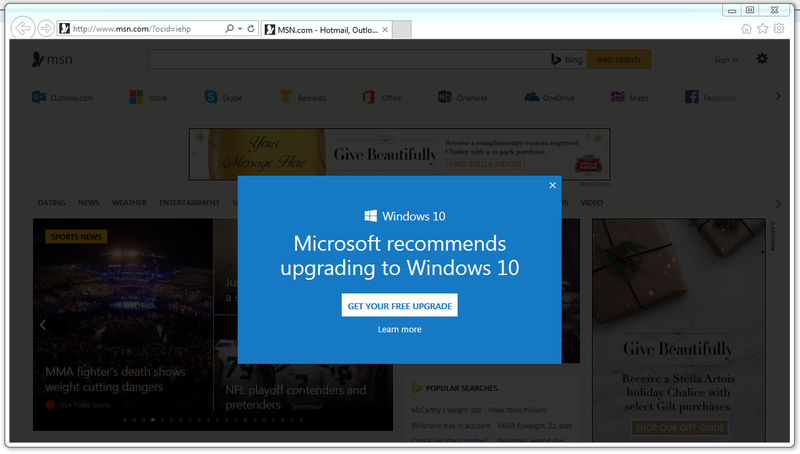 Now you can click the Get Windows 10 app to begin the upgrade process. Alternatively, if you do a fresh Check for updates in Windows Update after re-enabling these features, you might find the Upgrade to Windows 10 patch available as an installable option (not everyone sees this option; I don't know why). 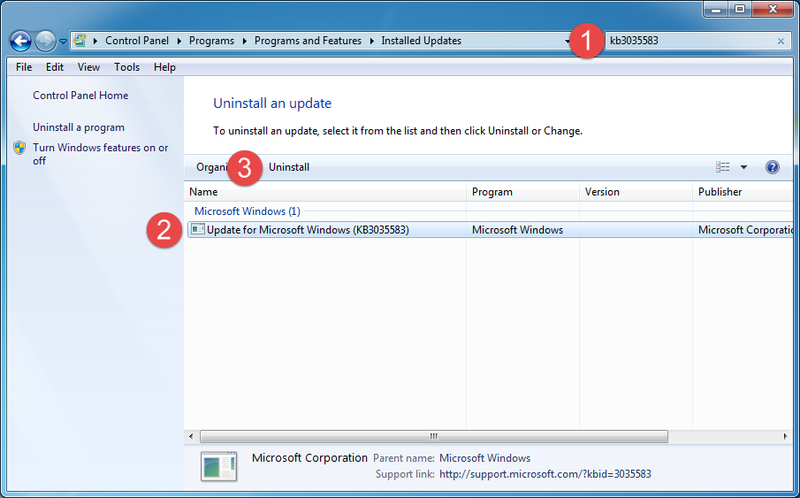 After Windows uninstalls the update, open up your Windows Update control panel and click Check for updates. Wait for Windows Update to check for new updates. 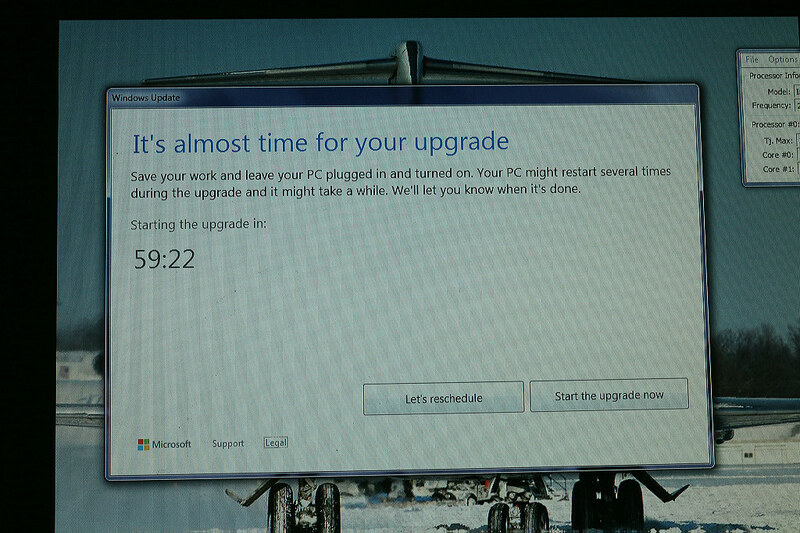 This can take a while depending on your computer and how busy Microsoft's update servers are. Once the search is complete, Windows should return with a message like "Install updates for your computer," and will probably also say at least 1 important update is available. 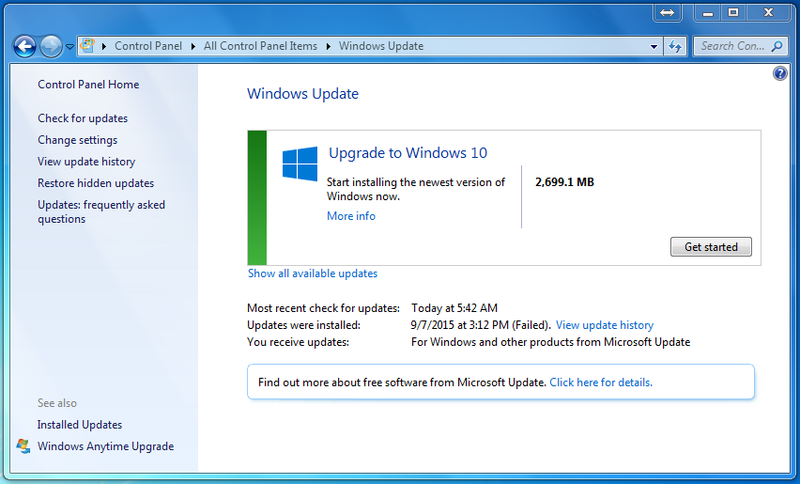 Click the "important update available" link to confirm KB3035583 is one of the available updates. 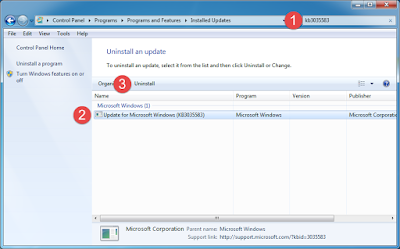 (If you don't see KB3035583 listed, you might have to go back to the main Windows Update screen and click Restore hidden updates to un-hide KB3035583. 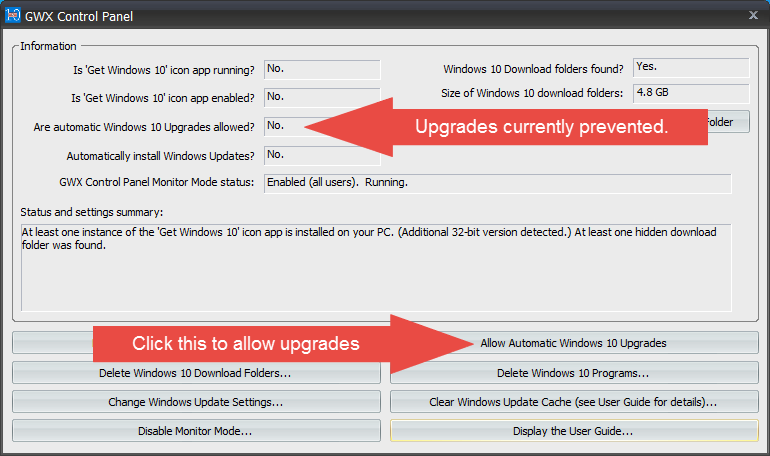 Once you're able to see and select that update, click OK or Install updates, depending on which screen you're on. Once the update is complete, if you don't see Microsoft's Get Windows 10 icon right away, try restarting Windows. If it still doesn't appear make sure you don't have it disabled in GWX Control Panel. Once you can see the icon you can follow the instructions in the first part of this answer. 5. WHY DOES WINDOWS ASK ME IF I WANT TO ALLOW GWX CONTROL PANEL TO MAKE CHANGES TO MY COMPUTER? When you attempt to perform an action in GWX Control Panel that changes Windows settings, you might see a dialog box that says, “Do you want to allow the following program to make changes to this computer?” This is a function of the User Account Control feature of Windows. 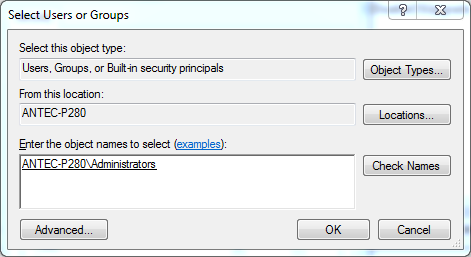 GWX Control Panel requires so-called “Administrator privileges” in order to perform some of its tasks, so if you see this dialog box, you must click Yes in order to continue loading the program. 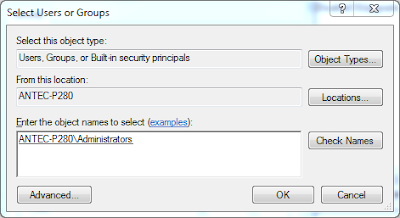 You will only be prompted to do this once per GWX Control Panel session. If Windows doesn't ask this question, it probably means the User Account Control feature is disabled. 6. WILL GWX CONTROL PANEL PREVENT MICROSOFT FROM UPGRADING MY COMPUTER TO WINDOWS 10? First off, according to a Microsoft employee I know and trust, Microsoft will not (yet) intentionally upgrade your Windows 7 or Windows 8 computer to Windows 10 without your consent. (The purpose of the Get Windows 10 app is to annoy you into giving your consent!) You give your consent by clicking the Reserve your free upgrade button in the Get Windows 10 app, which you will only see if you click the notification icon or one of its notification pop-ups. You only have to click this once to get the ball rolling, and there is no "Are you sure?" confirmation. 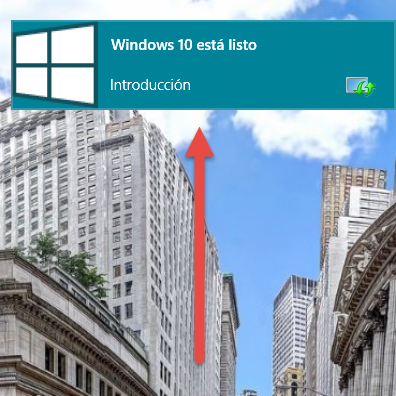 By clicking this button, you give your consent to install Windows 10. Even though it's possible to cancel your Windows 10 upgrade reservation in the Get Windows 10 app, doing so appears to put your computer in a state where it can actually download Windows 10 as a Windows Update. (I tested reserving and canceling on one of my Windows 7 computers, and afterward my Windows Update control panel always defaulted to a "Upgrade to Windows 10" screen and I had to click Show all available updates and then deselect Upgrade to Windows 10 Pro in order to install regular Windows updates.) 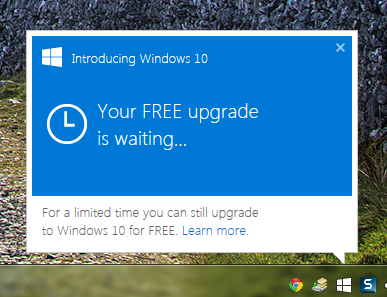 So if you really don't want Windows 10 yet, it's best not to click that "Reserve" button to begin with! Anyway, I've done several months of testing on eight computers running Windows 7 and Windows 8, and the full Windows 10 installer has not downloaded on any computers where I had used the "Disable Operating System Upgrades in Windows Update" feature of the program. As an update, in early October Microsoft issued a patch to the Windows Update system which reset some settings GWX Control Panel looks for, related to OS upgrades. Running the latest version of GWX Control Panel on my test systems returned them all to "disabled" status. To date I still haven't seen the 'Get Windows 10' icon re-appear on any of my computers where I disabled it with GWX Control Panel, only the "OS Upgrades" settings. 7. 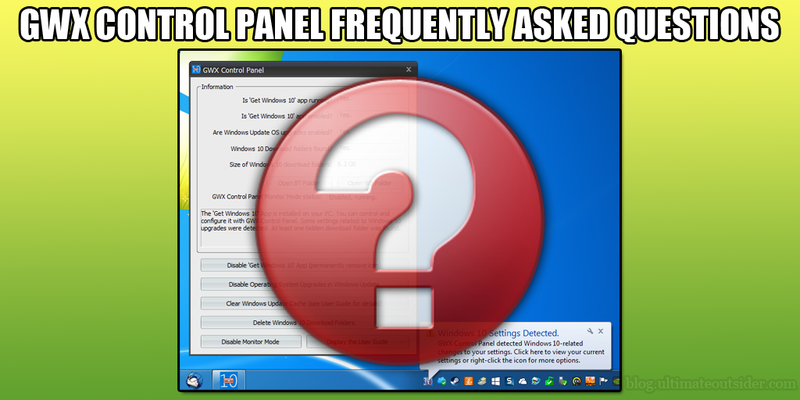 WILL GWX CONTROL PANEL PREVENT MICROSOFT FROM PUSHING THE WINDOWS 10 INSTALLER ONTO MY PC? Beginning with version 1.3, the Disable Operating System Upgrades in Windows Update feature of GWX Control Panel attempts to block the secret download of the Windows 10 installer onto your PC. If the folder already exists, GWX Control Panel won't delete it- but if you apply the "disable operating system upgrades" feature and restart your computer, Windows shouldn't download any more of the installer until you re-enable upgrades and restart again. There are two reasons I have to say that GWX Control Panel appears to work here: First, Microsoft has their own formulas for determining who gets the download files and when, so it's not something that's easy to test. I basically just have to leave my test computers running and wait. Second, in light of recent rumors that Microsoft is pushing the secret download to PCs, whether users have requested an upgrade or not, I don't know whether Microsoft is doing something new to force the downloads that GWX Control Panel doesn't know about yet. All I can say is that on the eight or so computers where I have run GWX Control Panel, the only one that has downloaded the installer was one where I had explicitly requested the upgrade. (And this was before I had implemented the "disable operating system upgrades" feature.) I am still watching to see if things change. 8. WINDOWS IS ONLY GIVING ME THE OPTIONS OF RESCHEDULING OR IMMEDIATELY STARTING THE WINDOWS 10 UPGRADE: WILL GWX CONTROL PANEL HELP ME? This Windows Update screen says "Your upgrade to Windows 10 is ready" and only gives you the option to "Restart now." (Thanks to David R. for the screenshot.) This is different from the problem where Windows Update defaults to saying "Upgrade to Windows 10" but you can click a link to view your current OS updates. If you are seeing either of the above two screens, exactly as they appear here, current versions of GWX Control Panel should finally be able to help you, but I am still looking for confirmation from users experiencing this specific problem. It has been an especially tough problem to work on since I've never been able to reproduce it on my own systems, and don't have access to any computers that were experiencing the issue. To be perfectly clear, if you're seeing either of these following screens, these are things GWX Control Panel also can and does fix. All versions of GWX Control Panel eliminate the Get Windows 10 App icon and its pop-up messages. Beginning with version 1.2, GWX Control Panel can fix the problem where Windows Update says "Upgrade to Windows 10" and makes you click an extra "Show all available updates" link in order to see your current updates. Additionally, GWX Control Panel will keep Microsoft from downloading the hidden 6GB Windows 10 install folder onto your Windows 7 or Windows 8 PC- again, if you use it early enough. 9. DOES GWX CONTROL PANEL RUN IN THE BACKGROUND AND MONITOR CHANGES MICROSOFT MAKES TO MY UPDATE SETTINGS? It is possible that when Microsoft does this, they might overwrite some of the GWX Control Panel settings, meaning you might want to run GWX Control Panel after performing Windows Update to double-check that Microsoft didn't re-enable features you had previously disabled. I recommend restarting Windows before re-running GWX Control Panel, because some of these Windows 10-related updates don't "kick in" until after you restart Windows, and GWX Control Panel might not recognize they're in place until that time. 10. CAN GWX CONTROL PANEL DELETE THE HIDDEN WINDOWS 10 DOWNLOAD FOLDERS? Yes (beginning with version 1.5). An original design goal of GWX Control Panel was to only make changes to your system that could easily be reversed, so I tried to avoid any features that involved permanently removing files. But the fact is that manually removing the $Windows.~BT and $Windows.~WS files is a hassle. There are scripts and tutorials online to help you do it, but I received a lot of requests to add this feature to the program, and it made sense. I also saw it as a personal challenge, since the work required to delete some of these hidden files programmatically is, in my opinion, some of the hardest programming you can do in Windows. There are probably some performance and UI optimizations I can do while the process is underway, but for now it works and at least gives you a ballpark indication of where in the process you are. Professionally, I've worked as a software engineer for 20 years, with the most recent 16 years of that in the Tech industry. I have developed software for every version of Windows from 3.1 through Windows 10, and have recently begun working in embedded Linux. In my spare time I write and record music, although I've devoted the past 3 or 4 years almost exclusively to developing my recording and mixing skills so that my original compositions sound more professional. As I acquire knowledge and develop my own skills, I also maintain the Ultimate Outsider blog, which is primarily focused on music production. And of course I also sometimes write and publish free software. 12. WHY DID YOU WRITE THIS PROGRAM? You see, I also had a lot of friends and family with Windows 7 and Windows 8 on their computers who were also continually pestered by the Get Windows 10 app- and I wanted to give them a solution that was literally so easy my mom could do it. None of the tutorials I'd seen about how to deal with the app are what I'd consider novice-friendly, whereas GWX Control Panel is a one-click solution. 13. DO YOU SHARE YOUR SOURCE CODE? Like the majority of Windows developers, I do not publish my source code. While I wrote GWX Control Panel (and every other free tool I've published) on my own time, with my own OS and developer tool licenses (thank you, Microsoft, for the Visual Studio Community Edition!) and while I distribute the programs for free, the knowledge and experience that goes into my programs is my most valuable personal asset in terms of my career and livelihood. It's the reason people pay me to code for them, and I protect it. Although the core logic behind GWX Control Panel's ability to control and configure the Get Windows 10 app is what I consider somewhat trivial, the GWX Control Panel application consumes my personal class library, which is a 100% original code base of elegant, efficient utility functions covering many aspects of working in Windows. I use it for everything I write in my free time, and to share GWX Control Panel's code would be to share my private library code- and I just won't do that. 14. WHY SHOULD I TRUST YOUR SOFTWARE? I have a track record. I've been publishing free tools for developers, system admins, (and more recently, music producers) since the late 90s. Some of the tools at my old site have been downloaded tens of thousands of times. (I'm as surprised as anyone about that, by the way. I don't think I've even touched that site for over a decade, but every time I consider pulling the plug on it I check the stats only to find that thousands of people are still going there every month.) The only complaints I've ever gotten about those tools were from people using my 16-year-old programs on brand new computers with much more RAM and storage space than a couple of my tools were originally written to account for. Also, my more recent programs, Nexus Preset Organizer and UltimatePluginTool have been downloaded thousands of times each, and I've only ever gotten positive feedback... except for a few Mac users unhappy about the fact that I haven't ported anything to OS X. My recent programs are digitally signed. A digital signature serves two important purposes: First, it proves that the copy of the file you received is an authentic, unmodified binary that the author intended. If anyone attempts to tamper with the binary, doing so violates the digital signature. (More on this in the next question.) Second, the signature ties a real-world developer (as well as the developer's web domain) to the binary file. I had to go through an excruciating three-week process to get approval for my digital signature, because of the lengths that the signing authorities go to in order to ensure that certificates are awarded to legitimate individuals and businesses. Developers who write sketchy software don't sign their binaries, because doing so leaves a paper trail. My web site has been white-listed by the Microsoft SmartScreen filter. Windows 8 and Windows 10 have a SmartScreen feature that checks downloads against a list of known malware sites, and when you attempt to launch a downloaded program from either a known malicious site or simply a site whose provenance is not yet known, they display a warning before letting you proceed with the file. (This is different from the User Account Control warnings I describe elsewhere.) When I first started distributing software from the ultimateoutsider.com domain, my downloads triggered SmartScreen warnings simply because Microsoft had no record of my reputation one way or the other, but after a couple of weeks of consistent safe downloads from my site, I built up a positive reputation in the SmartScreen system and my downloads no longer trigger SmartScreen notifications. 15. HOW CAN I TELL IF MY COPY OF GWX CONTROL PANEL IS AUTHENTIC? Within a day of publishing GWX Control Panel it was showing up on third-party sites for download. (It's even showing up on torrent sites, for some reason?) While I can only vouch for software that you download from my own downloads page, here are some ways you can prove the file you downloaded is authentic. GWX Control Panel and the official GWX Control Panel setup program are digitally signed. If someone tampers with my file, its digital signature will be invalidated. Here's how you can check that the signature is still intact: Locate the copy of GWX_control_panel.exe (or GwxControlPanelSetup.exe) you downloaded in Windows Explorer. Right-click the file and then click Properties. You should see a tab called Digital Signatures. If you don't see the Digital Signatures tab, then the file is not authentic! If you do see the Digital Signatures tab, there should be only a single "sha1" signature listed, with my real name listed as the signer. If you select the signature and click Details, you'll see that the signature is tied to both my real name and the ultimateoutsider.com domain. If you see anything other than an ultimateoutsider.com email address, then this file did not come from me! The official GWX Control Panel setup program does not install any additional software! If you received GWX Control Panel via some installer that had ads or installed third-party software, that was not a legitimate installer. Your copy should match my published MD5 and SHA-1 checksums. I have updated the downloads page with the MD5 and SHA-1 checksum values for GWX Control Panel. Here's how to confirm that your copy matches the one that I published: Get the MD5 & SHA Checksum Utility and launch it. When the program opens, click Browse to locate your downloaded copy of GWX_control_panel.exe or GwxControlPanelSetup.exe. The MD5 and SHA-1 values that appear should match the values I published for GWX Control Panel on my downloads page. The published values reflect the version that's currently available for download. Checksum values for previous versions are listed in the Release Notes section of the user guide. 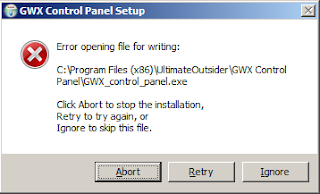 The only official distribution point for GWX Control Panel is ultimateoutsider.com. I am the only person who controls what gets published here, and while I don't have any evidence that third parties have tampered with my files in the wild, better safe than sorry. I stand behind everything I write, but only if you get it from here. 16. DOES GWX CONTROL PANEL DO ANYTHING THAT HASN'T BEEN DESCRIBED IN VARIOUS TUTORIALS OR MESSAGE BOARD THREADS? Some methods are what I'd consider unsafe (especially the ones that involve you disabling Windows Update). Some were more permanent/final solutions than I liked. I didn't want to delete or permanently break the application; I wanted to be able to re-enable the Get Windows 10 app when I was ready to use it. GWX Control Panel doesn't do anything particularly special (well, the early versions didn't anyway). It's just simple and safe, reversible (except for the features that delete files), and it works. 17. WHY DID YOU RENAME THE PROGRAM? A few days after publishing this program under its original name, I discovered an online video about another, somewhat mysterious program with the same name. While this other program appeared to have the same ostensible purpose as mine- to dismiss the 'Get Windows 10' icon- the video left me with a lot of questions. For one thing, I cannot find any information about this other program on the website of the apparent developer, although the direct download link in the video's description goes to their site. I haven't used or downloaded the other program, so I won't speculate on how it works or what it does. I can only say that based on what I saw in that video, even if I had known about that other program's existence beforehand I still would have written mine. I'd have just named it something else. So anyway, I renamed my program to eliminate any confusion between the two utilities. The funny thing is, when I was writing my tool, it was originally called "GWX Closer." I decided I didn't like that name, though, because it implied that the program only closed a running instance of the Get Windows 10 app, rather than permanently disabling it. I'm embarrassed for not having web-searched the name before I published the tool. "GWX Control Panel" appears to be safe for now, though! Why yes, thank you for asking, imaginary reader! As I mentioned earlier, I am neither anti-Microsoft nor anti-Windows 10, but I am absolutely opposed to the design and methodology of the Get Windows 10 App. 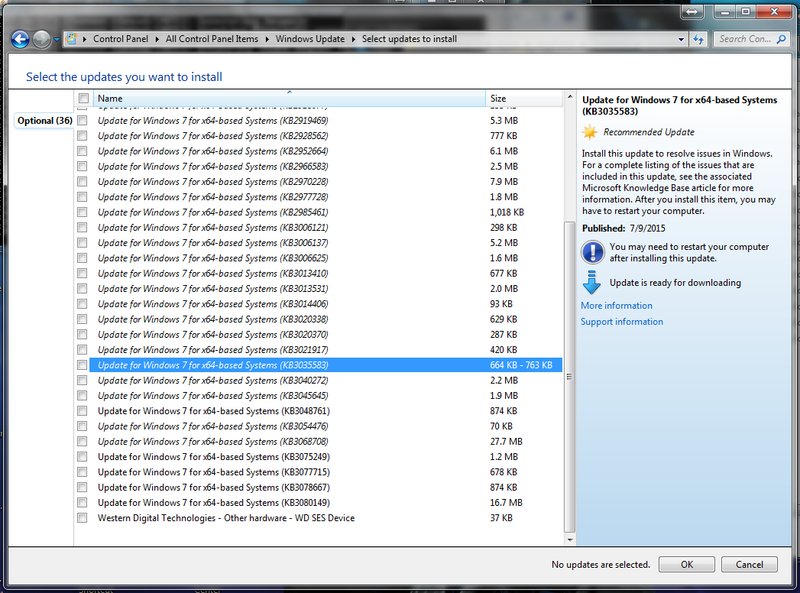 It's non-essential software that's deceptively bundled with other, legitimate software via the Windows Update process. Even if you're the type to pick and choose Windows updates individually, the summary information about the update that installs the app makes the patch sound like a bug fix rather than a nagware installer: "Install this update to resolve issues in Windows." In computer security circles, software that claims to be something it's not is called a Trojan. You will only know what the patch actually installs if you click the More information link, which brings you to the KB3035583 Knowledge Base article. 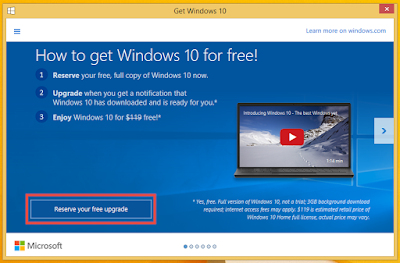 The misleading description of the update that installs the Get Windows 10 nagware. It repeatedly and frequently interrupts your day-to-day work. 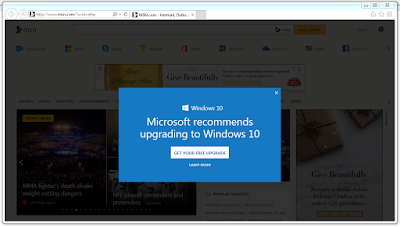 Once the Get Windows 10 App is installed on your computer, it will pop up unexpected reminders to upgrade, and it won't stop bugging you until you relent and move on to Windows 10. This behavior basically turns your legitimately licensed copy of Windows 7 or Windows 8 into nagware. It cannot be disabled or configured via normal means. 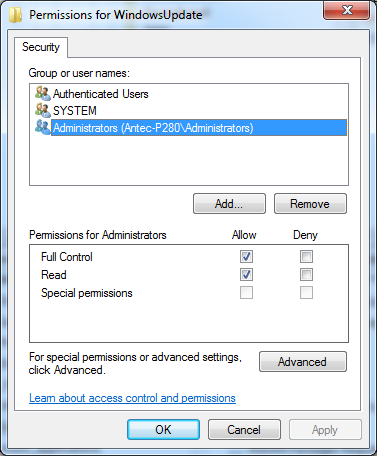 Just about any other legitimate system tray ("notification area") application these days offers a right-click menu with the ability to disable notifications or prevent the tool from starting with Windows. Not doing so is in direct opposition to Microsoft's own guidelines on how to develop applications that display icons in the notification area. These are only SOME of Microsoft's design guidelines the Get Windows 10 app ignores. It is difficult for novice users to locate and remove. Just like most modern viruses and malware, the Get Windows 10 app installs in a location where most users would not know to look, and uses non-descriptive file and folder names to obscure its identity. The app lives in a folder named GWX ("Get Windows 10"- get it?) under the System32 folder of your Windows directory. 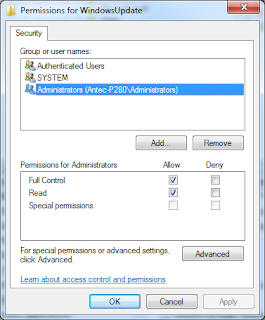 The files are locked down with special permissions, meaning they are very difficult to rename or remove- although it is possible with the right system permissions and procedures. Of course most users look in the Programs and Features control panel when they want to remove software- and although you can use the control panel to remove the KB3035583 update, you obviously have to know that it's where the GWX app came from. But even if you manage to do that, it will also re-install automatically in future Windows updates. It can break user expectations. 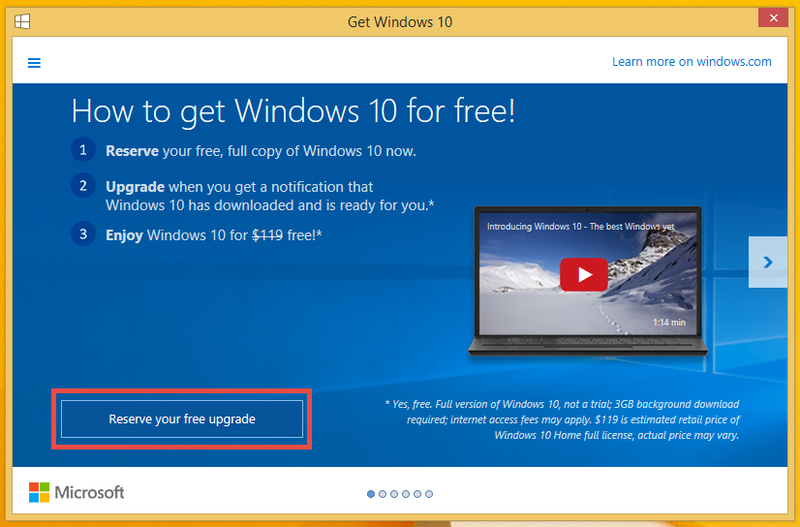 After some experimentation with the Get Windows 10 experience, I've discovered that if you reserve your Windows 10 upgrade via the 'Get Windows 10' app, but then decide you don't wish to upgrade and cancel your reservation, Windows can still automatically upgrade your computer to Windows 10 by selecting and installing an optional 'Upgrade to Windows 10' update that becomes available some time after you reserve your copy. This probably explains various reports I've heard of people receiving unexpected operating system upgrades. When a user says "no" to something you can't break your contract with the user and proceed anyway. I have legitimate reasons for wanting to stick with Windows 7 for the moment since several tools I rely on simply aren't Windows 10-compatible yet, but Microsoft is literally trying to annoy me into upgrading to a new operating system that I'm just not ready for. The Get Windows 10 app is evil software, and I don't like the precedent that it sets, particularly given how successful it's apparently been at accomplishing Microsoft's objectives. GWX Control Panel is my humble protest against the app, and hopefully a way to help other Windows 7 and Windows 8 users regain control over their computing experience. 19. HOW CAN I SUPPORT GWX CONTROL PANEL?